London: , 1782-3. 7 works bound in 1 volume, octavo (202 x 125 mm). Contemporary half calf, marbled paper boards, red morocco label to spine, compartments ruled in gilt. Armorial bookplate to front pastedown of the Kinnaird baronetcy of Perthshire. Pages trimmed in the binding process, most noticeable on the title pages, very good copies. Six early individual works and one duplicate by the Scottish agriculturalist and politician, bound together presumably at his request. Thoughts on the Naval Strength of the British Empire (the fifth pamphlet included in this volume) "began what was to become a vast list of publications" (ODNB) by Sinclair, and he wrote prolifically on agriculture, political economy, government finance, and health. Between 1790-1 he produced the vast 21-volume Statistical Account of Scotland, for which he is generally credited with the first use of the word "statistics" in the English language. The Sinclair family owned about a quarter of Caithness county during the 18th and 19th centuries, and Sinclair began his political career by representing it at the general election of 1780. He shaped much of the surrounding countryside, having planned the town of Thurso and encouraged the establishment of the British fishing industry in nearby Wick. He was also a major catalyst behind the creation of the Board of Agriculture in 1793 of which he was the first president. Despite needing a house in London for his political career, his family home was in Edinburgh. In 1791, the farmer and journalist James Anderson wrote to Jeremy Bentham: "Of Sir John Sinclair you entertain, with justice, a high opinion, respecting his industry and application. In these respects, perhaps, I know no man who is his equal, and I believe his dispositions at bottom are very good... he has the art of picking up ideas from one and another, and then bringing them out in some measure as his own. He may thus be the means of doing much good, and... he has, in this way, been already of much use, and may be of more" (Milne, letter 782). Bound up together are the following texts: 1. Lucubrations During a Short Recess. London: printed for J. Debrett, 1782. Bound without the half-title. 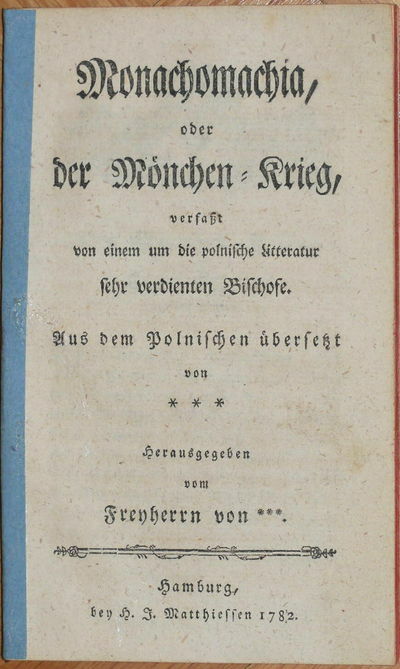 First edition of the author's second work which provides a theoretical support to the idea of parliamentary reform. 2. Duplicate copy of Lucubrations During a Short Recess as described above. 3. Lucubrations during a Short Recess containing A Plan for a More Equal Representation of the People. 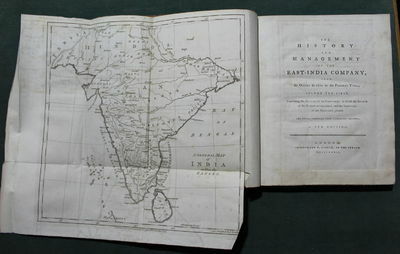 London: printed for J. Debrett, 1783. With the one-page publisher's advertisement to the rear. Title page with annotation in ink "from the author" trimmed in the binding process, lower corner of title page partially uncut. Second edition corrected. 4. Hints addressed to the Public. Calculated to dispel the gloomy ideas which have been lately entertained of the state of our finances. London: printed for T. Cadell, 1783. Title page with annotation in ink "from the author" trimmed in the binding process, corrections made in ink to 12 pages. First edition. Goldsmiths' 12502. 5. Thoughts on the Naval Strength of the British Empire. London: printed for T. Cadell, 1782. With an additional printer's blank to the rear. First edition of Sinclair's first book in which he argued for the superiority of the British navy above those of France and Spain, in contradiction with many of his contemporary's opinions. Goldsmiths' 12374. 6. Memoir: containing a Plan for Re-establishing the Public Credit, and Finances of the Country. London: [n. pub. 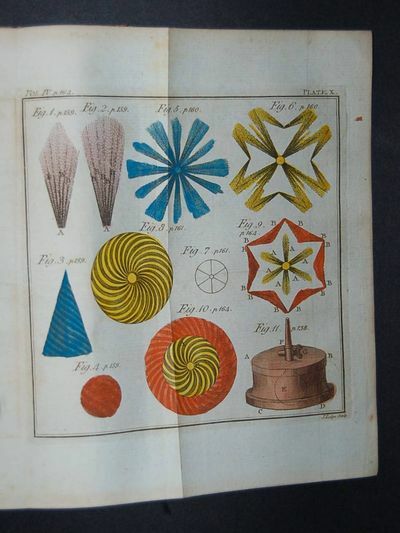 ], 1783. First edition. 7. Reflexions on the Expediency of Increasing the Present Number of the Representatives of the People. London: printed for T. Cadell, 1782. Minor loss to top right corner of title page but text unaffected. First edition. Travels Through Spain, With A View To Illustrate The Natural History And Physical Geography Of That Kingdom, In A Series Of Letters. 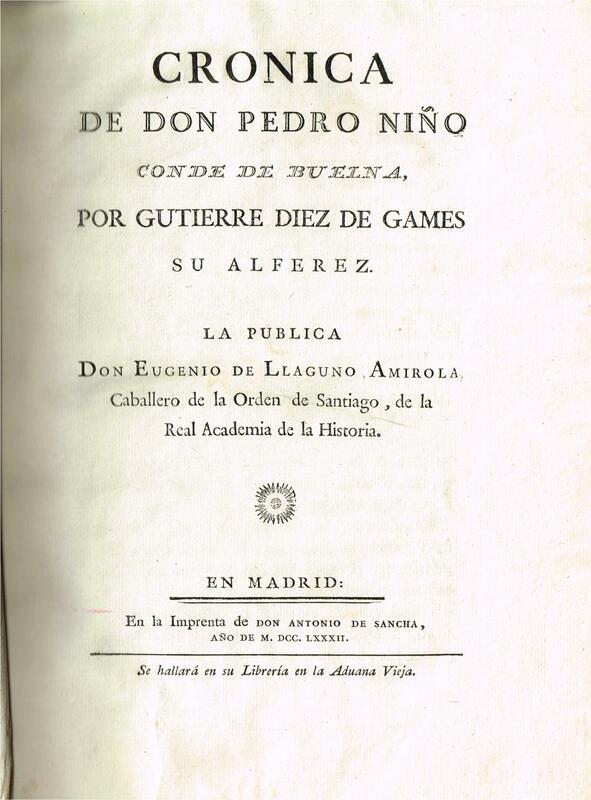 Interspersed With Historical Anecdotes; Adorned With Copper-Plates And A New Map Of Spain; Written In The Course Of A Late Tour Through That Kingdom. The Second Edition, With Improvements And Corrections. A generously margined copy in a superb eighteenth century binding. French composer (1782-1871), who focused mostly on opera, composing almost 50 of them - his most important creations include Fra Diavolo and La Muette de Portici. Autograph letter signed by him, dated in Paris on January 31st, 1849, to the director of an opera house, on letterhead from the Conservatoire National de Musique et Declamation, Paris. 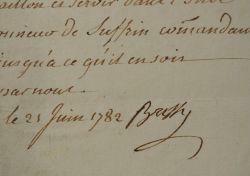 Letter is in French, and is sold untranslated. 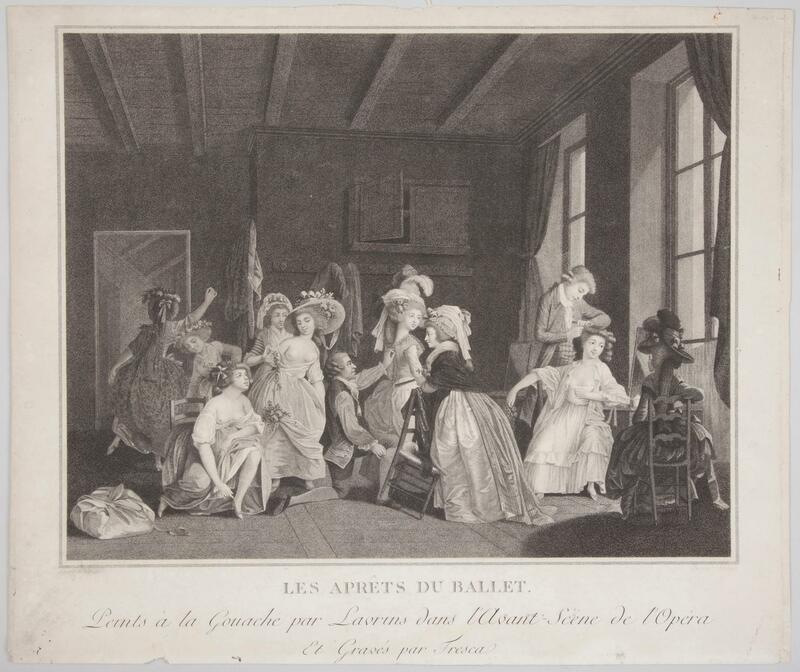 Auber respectfully asks to borrow a few accessories only to be found in this person´s theater, for an upcoming performance of La Gazza Ladra (La Pie Voleuse, in French) by students of the Conservatoire. Auber mentions that in the past, a previous director has agreed to help. One page, sized 5 x 8 inches, in excellent condition. ALSO INCLUDED is a vintage print of the composer, sized 9.25 x 12.5 inches (actual image is 7.5 x 5.75 inches), a perfect companion to the letter if framed together. See photos. Brustbild einer jungen Frau im Dreiviertelprofil nach links, den Kopf nach unten geneigt. - Kupferstich in Crayonmanier, in Schwarz und Rot gedruckt, mit gestochener Umrahmung, 1782, nach Francois André Vincent (1746-1816), auf festem Bütten. 53,3:39,4 cm. Mit der Adresse: A Paris chez Demarteau, Graveur Cloître St. Benoît und der Nummer &#132;No. 663." Literatur: Leymarie 663; nicht bei Nagler und Le Blanc. &#150; Bis auf einige kaum sichtbare Quetschfalten von sehr guter Erhaltung. OPERE DEL SIGNOR ABATE PIETRO METASTASIO, POETA CESAREO. Giusta le ultime Correzioni, ed Aggiunte dell'Autore. Abhandlung von Verbesserung und allgemeinem Gebrauch der Visierstäbe. Diploma di laurea a Luigi Schiassi, bolognese, in filosofia e medicina. Bologna, 1782, febbraio 28, (postilla del 1784, agosto 30) cartellina muta coeva, pp. 12 manoscritte in pergamena, con stemma araldico a piena pagina all'inizio, dipinto e colorato a mano, stemma dell'Universitˆ bolognese, due capilettera pure dipinti. Timbro in fine e firma di Vincenzo Zambeccari. Nel Collegio vi era Luigi Galvani, Pietro Jacobus Aldrovandi e Pio Laurenti. Lo Schiassi, fu tra i primi massoni, chirurgo a Pietroburgo e, tornato a Bologna, ebbe vari incarichi ufficiali; mor" nel 1821. 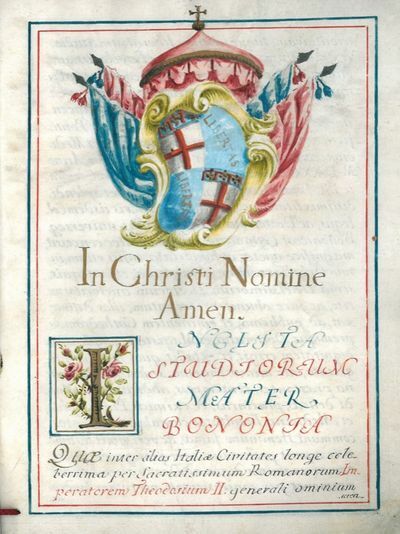 "Morosini Andrea, Storia della Repubblica Veneziana scritta per pubblico decreto, e condotta Dall'Anno MDXXI sino al MDCXV dal senatore ANDREA MOROSINI Ora per la prima volta dal latino idioma recata nell'italiano. [Marca tipogr.] In Venezia, MDCCLXXXII dalle Stampe di Antonio Zatta. Con pubblica approvazione. 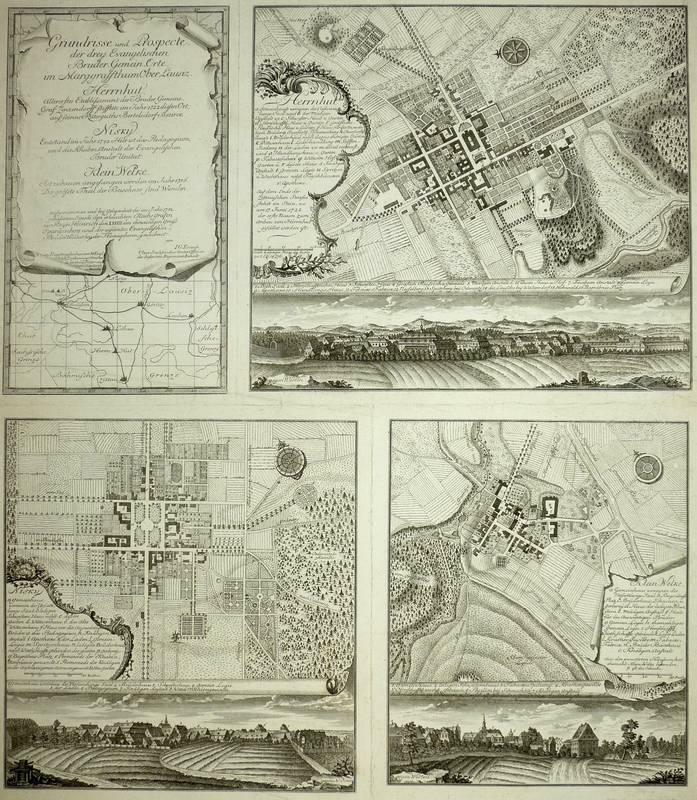 London: Printed for T. Cadell, in the Strand, 1782 [x], 274 pages + folding map. ESTC N17465. Only this volume ever published. Author identified in the ESTC listing. Armorial bookplate to the front pastedown of The Right Honourable George Rose. In old half leather, the spine is torn and very damaged with glue repairs. Corners also worn. Light browning to pages throughout. Offsetting to the folding map, which also has creases and a small tear.. Hard Cover. Good. London: Printed for L. Davis, 1782. 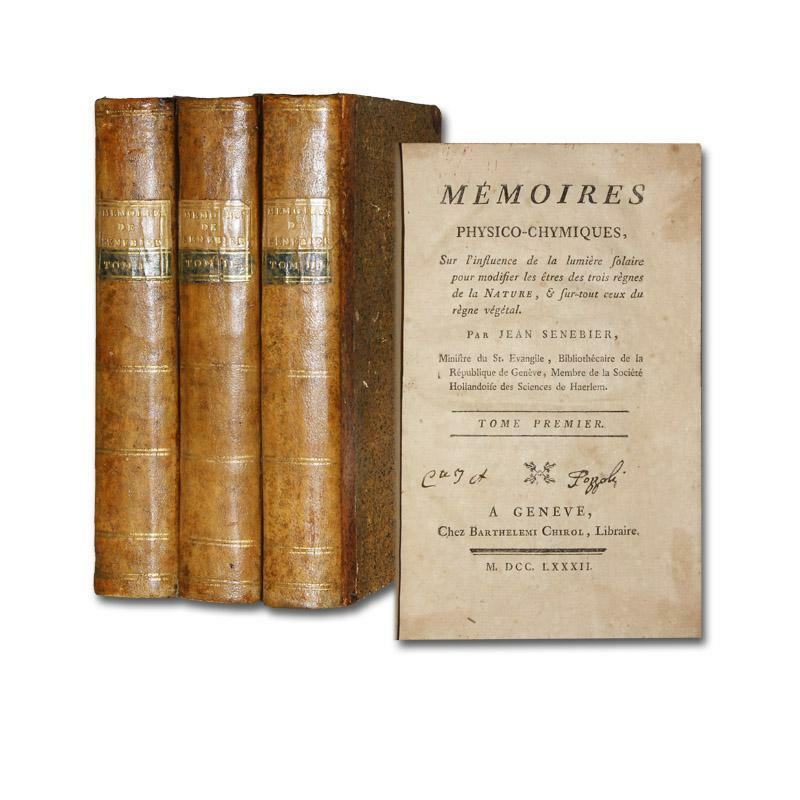 Second edition, corrected, 4 vols., 8vo (225 x 125mm), , xvi, 267, ; , xi, , 280; , xii, 296; , xi, , 367, pp., presentation inscription at head of title page of vol. I "W. E. Welby the gift of T[homas] Northmore", 65 hand-coloured folding engraved plates, lower portion of title page and half title to volume I waterstained, some further minor staining to lower margins of text, light browning from turn-ins, cont. half with red morocco title labels, spines rubbed and discoloured, joints cracked but holding. The rare issue with all plates hand-coloured. 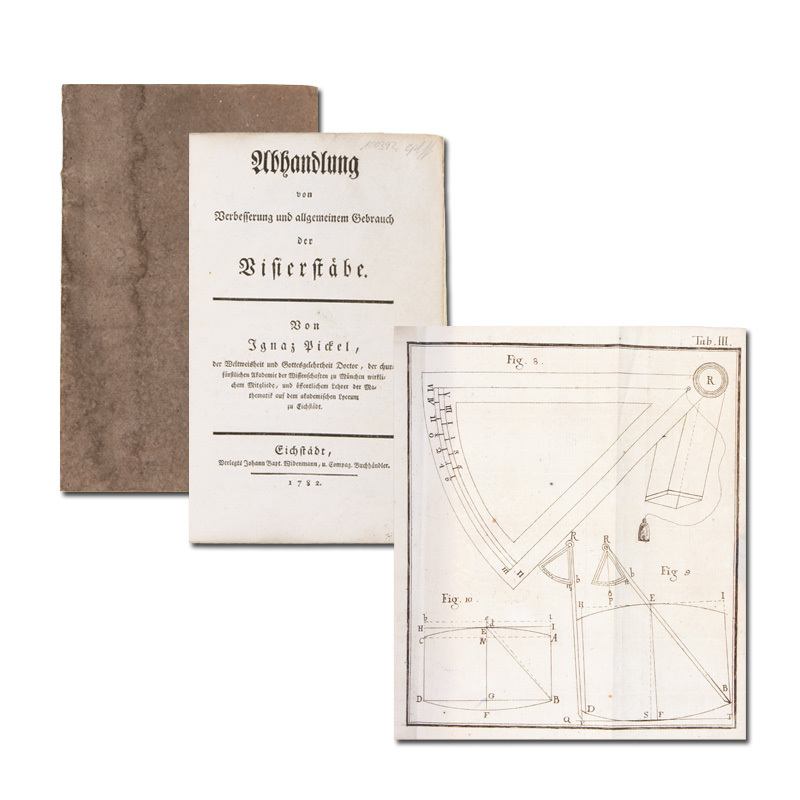 Volume 1 covers: Arithmetical and mechanical experiments. - volume 2: Experiments in optics, chromatics and acoustics. 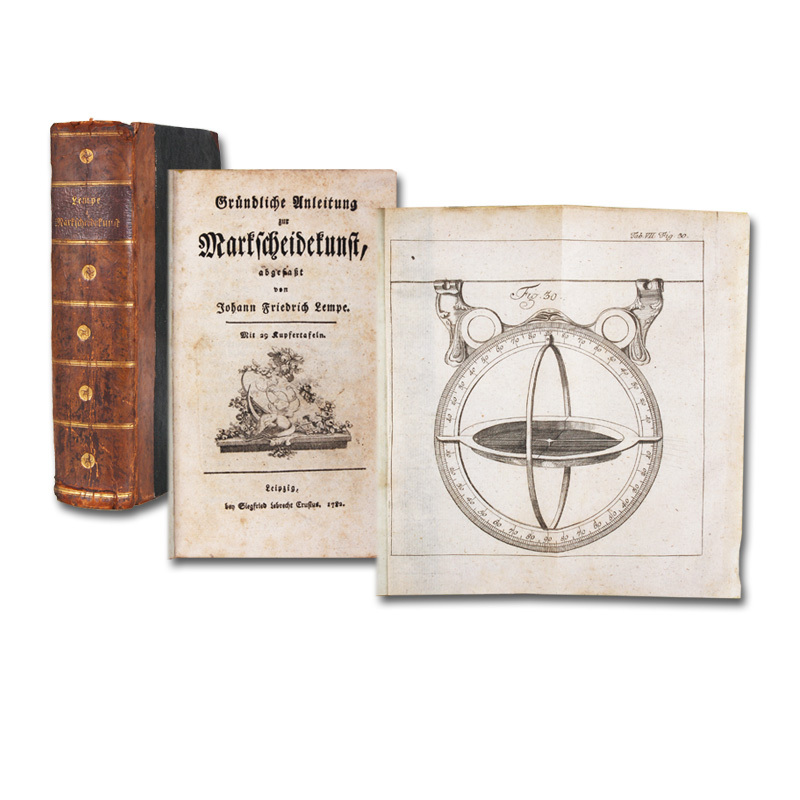 - volume 3: Electrical and magnetical experiments.- volume 4: Experiments in pneumatics, hydrology, and pyrotechnics, with an appendix of miscellaneous recreations. Provenance: Sir William Earle Welby Gregory, first baronet (d. 1815), of Denton Manor, Lincolnshire. Denton Manor was built in 1879 in the Tudor style, it was short lived, for in January 1906 it was seriously damaged by fire, but with the help of the Grantham fire brigade reinforced by the Duke of Rutland's fire brigade from Belvoir Castle, along with a large crowd of willing helpers, many of the numerous works of art were saved. The house was finally demolished in 1938-9. Toole Stott, 390. 8:o. (16) 448 + (2) 449-908 (17) sidor. Två trevliga men något nötta samtida, marmorerade halvfranska band med guldlinjerade ryggar, bruna titeletiketter och ovala gröna nummerskyltar placerade på beige vackert guldornerade etiketter. Turkosa snitt. Delvis något solkiga inlagor med spridda fläckar. Några bladpar ouppskurna. Smutstitelbladet i första delen fragmentariskt och lappat och uppfodrat, men med all text bevarad. Lagerfläckar i yttre marginalen på s. 318-26 och lite solk på s. 381. Det avslutande rättelsebladet uppfodrat. Försättsbladen med en raderad anteckning och Gustaf Wallbergs, C. A. Siöbergs [?] respektive Torsten Falcks namnteckningar. Krok Svensk botanisk litteratur 23. Soulsby A catalogue of the works of Linnæus addenda 679a. En ny upplaga utkom 1782. Bergius största litterära arbete och en handbok i naturens läkemedel, uppställd efter Linnés sexualsystem. Tyngdpunkten ligger på köksväxter och för varje läkedoms- och köksört beskriver han ingående växtens utseende, egenskaper och medicinska användning. 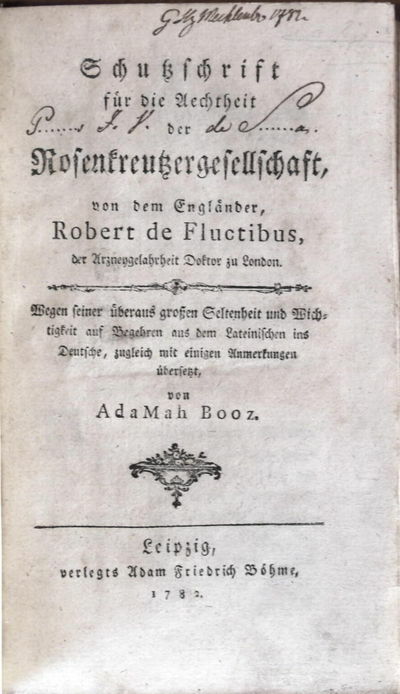 Schutzschrift für die Aechtheit der Rosenkreutzergesellschaft, von dem Engländer, Robert de Fluctibus, der Arzneygelahrheit Doktor zu London. Wegen seiner überaus großen Seltenheit und Wichtigkeit auf Begehren aus dem Lateinischen ins Deutsche, zugleich mit einigen Anmerkungen übersetzt, von AdaMah Booz (d. i. Adam Michael Birkholz). Leipzig, verlegts Adam Friedrich Böhme 1782.. Mit 1 gest. Textvignette. 9 Bll., S. (3)-320. Neue Lwd. Ferguson I, 284; Gardner 243; Wolfstieg 42291: "Selten". - Erste deutsche Ausgabe des "Tractatus apologeticus" (latein. 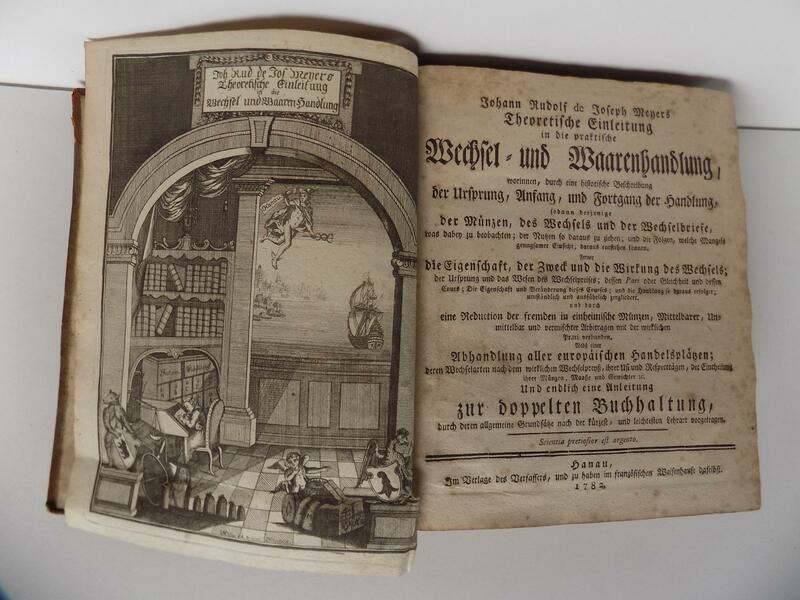 Erstausgabe 1616-17) - Das Werk beinhaltet die Abhandlungen `Von geheimen Bezeichnungen`, `Hindernisse der Schulwissenschaften` sowie `Von Naturgeheimnissen`. - Titel mit altem Eintrag. Einige wenige alte Marginalien. Sehr gutes Exemplar! A "Vue de la Place de l'Opéra, et de Nouvelle Bibliothéque ainsi que de l' Eglise Catholique". - Kupferstich n. u. v. Jean ( Johann Georg ) Rosenberg b. ( Morino & Company ), dat. 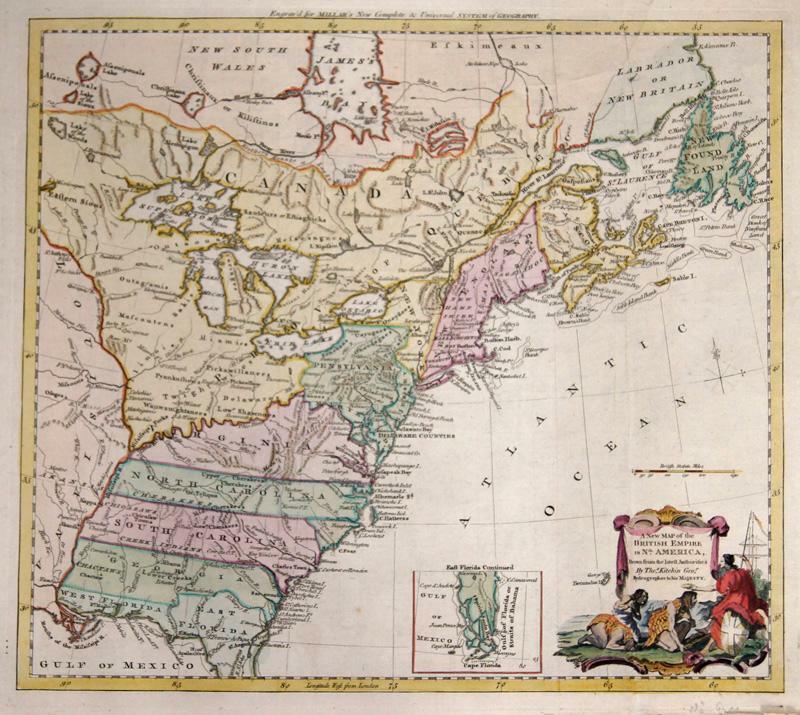 1782, 39 x 64 Ernst, J. G. Rosenberg, Nr. 11; Kiewitz 1053; Rave 16.- 1. Zustand noch ohne die Dedication und Nummerierung. Blick von der Straße "Unter den Linden" auf den "Opernplatz", rechts die Bibliothek ( oder Kommode), links ein Teil der Oper. Mittig links die Hedwigskirche, rechts daneben die ersten Häuser in der Behrenstraße, die später durch den Neubau des Gebäudes der Dresdener Bank (von Heim 1887 ) an dieser Stelle ersetzt wurden. - Verso mit zwei Stempeln (Sammlung und Doublette/ausgesondert). Positiver Luftelektrophor samt der Anwendung desselben auf eine Elektrisirmaschine. Augsburg: Eberhard Kletts sel. 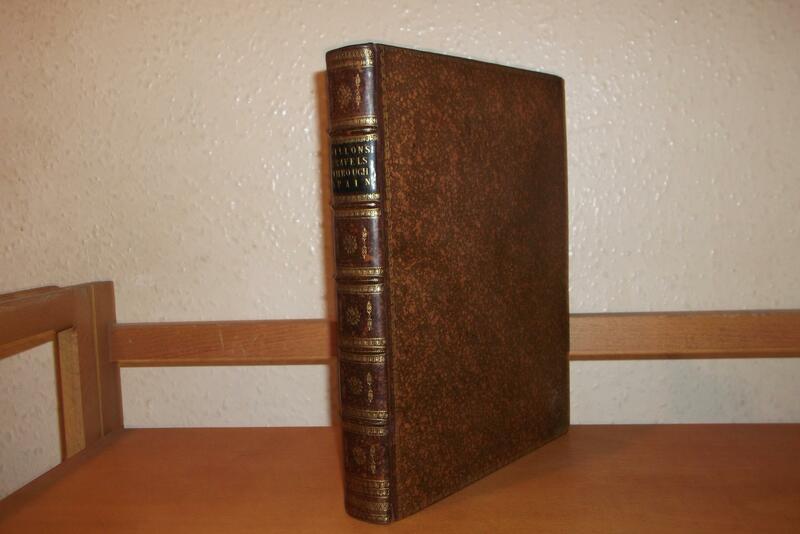 Wittwe und Franck, 1782. hardcover. Gut. Mit Titelvignette und zwei mehrfach gefalteten Kupfertafeln im Anhang. Kl.-8vo. (ca. 17,5 x 11 cm). Einfacher Pappband der Zeit mit großem handgeschr. Deckel- und kleinem Rückentitel, 7 Bll., 118 S. Poggendorff II, 572. Ronalds 536. Diese Ausgabe nicht im VD18. Zum Verfasser: ADB 41, 316 ff. - Weber (1753-1831)? war ursprünglich katholischer Geistlicher, der aber in Dillingen auch Philosophie und Physik studierte. Das Philosophen-Lexikon von Eisler bezeichnet ihn als "Vertreter eines aufgeklärten Katholizismus, von Kant, Schelling, Seneca beeinflußt". Er lehrte ab 1799 als Professor für Physik und Chemie in Ingolstadt, Landshut und Dillingen. 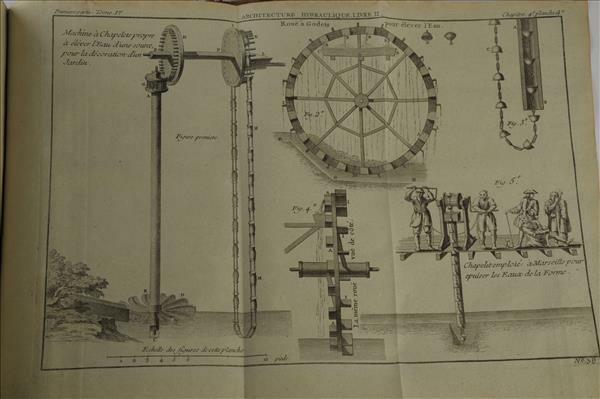 "W. erfand 1778 einen elektrischen Apparat, den er Luftelektrophor nannte. Er erhielt dafür von der Münchener Akademie der Wissenschaften eine Preismedaille und die Ernennung zum Mitgliede. In den folgenden Jahren veröffentlichte er mehrere Schriften und Aufsätze über Elektricität, u. a. 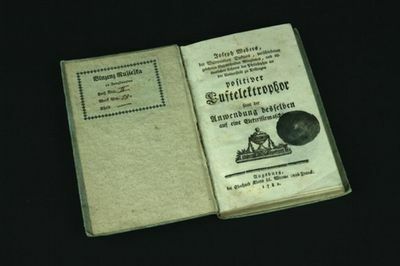 "Abhandlung vom Luftelektrophor", 1779; "Die Theorie der Elektricität", 1783; "Vollständige Lehre von den Gesetzen der Elektricität und von der Anwendung derselben"... (ADB). - Einband etwas fleckig, berieben, mit altem Etikettrest am Rücken/Deckel. Titel und Blatt 2 jeweils mit geschwärztem Stempel. Innen weitgehend sauber, nur stellenweise leicht braunfleckig. Altes Exlibris auf dem Vorsatz. Theoretische Einleitung in die praktische Wechsel- und Waarenhandlung, worinnen, durch eine historische Beschreibung der Ursprung, Anfang, und Fortgang der Handlung, sodann derjenige der Münzen, des Wechsels und der Wechselbriefe . ; ferner die Eigenschaft, der Zweck und die Wirkung des Wechsels . ; und endlich eine Anleitung zur doppelten Buchhaltung durch deren allgemeine Grundsätze nach der kürzest- und leichtesten Lehrart vorgetragen. Mit einem gestochenen Titelblatt. Paris, 1782. 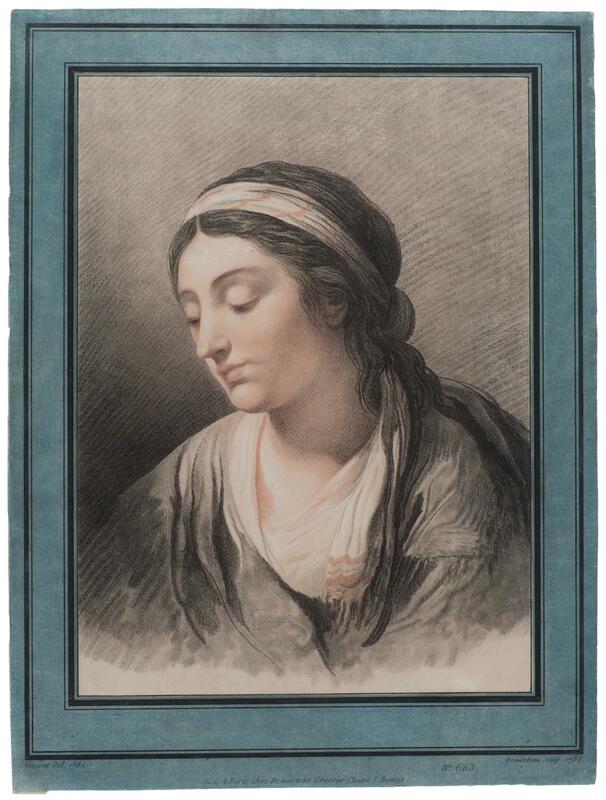 Bocher: Gravures françaises du XVIIIe Siècle, fasicule 1, p. 13, 4.. 368 x 430 mm. The scene depicts young female dancers in varying stages of dress/undress with attendants including two men, one coiffing a woman's hair, the other measuring a dress; another woman is at left background practicing a step in front of a tall mirror. 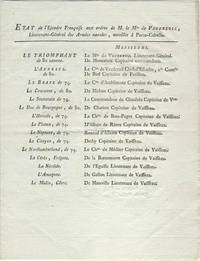 (Paris, 1785 circa) un volume in 4to mezza pelle ottocentesca con titoli e fregi dorati al dorso, frontespizio figurato inciso su rame su doppio foglio, da Varin (titolo inserito entro grande drappo sormontato da corona di stelle, motivi vegetali, e contornato da mappamondi, sfere armillari, squadre, compassi, ecc.) e 44 tavole incise in rame su doppia pagina, confini colorati a mano, realizzate dal cartografo Rigobert Bonne. Buona copia . (Mondo, 4; Europa, 17; Asia 12; Africa 5: America 6. Kst.- Karte, v. Johann Ernst Metzburg n. G.I. Metzburg, "Post Charte der Kaiserl. Königl. Erblanden. Wien, 1782". 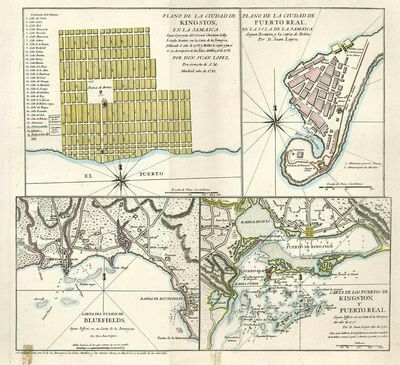 Double-page engraved sheet with four hand-colored 18th century maps of Jamaica, including a map of Kingston showing major roads, the main plaza now known as Saint William Grant Park, the church, and the two cemeteries for foreigners and negros; a map of Port Royal depicting roads, Fort Charles, the Hanover trench, the city walls, the shipyard and ship warehouses, the plaza, and the church; a map of the port of Bluefields including the town of Savana la Mar, Bluefield Bay, rivers, and other small coastal towns; and a map of the ports of Kingston and Port Royal with Hunts Bay, the Great Salt Pond, and major roads and rivers. 15-1/2 by 18 inches sheet size. Two small tears at lower margin with old tape residue and staining. Madrid, 1782. In creating these rare maps of Jamaica, López took information from earlier projections by Jacques Bellin and Thomas Jefferys. Together with his father, Tomás López de Vargas Machuca, Juan was responsible for Spain's most prolific output of eighteenth-century maps and charts. Very scarce; as of January 2018, WorldCat locates two holdings in North America with one of the four maps each. 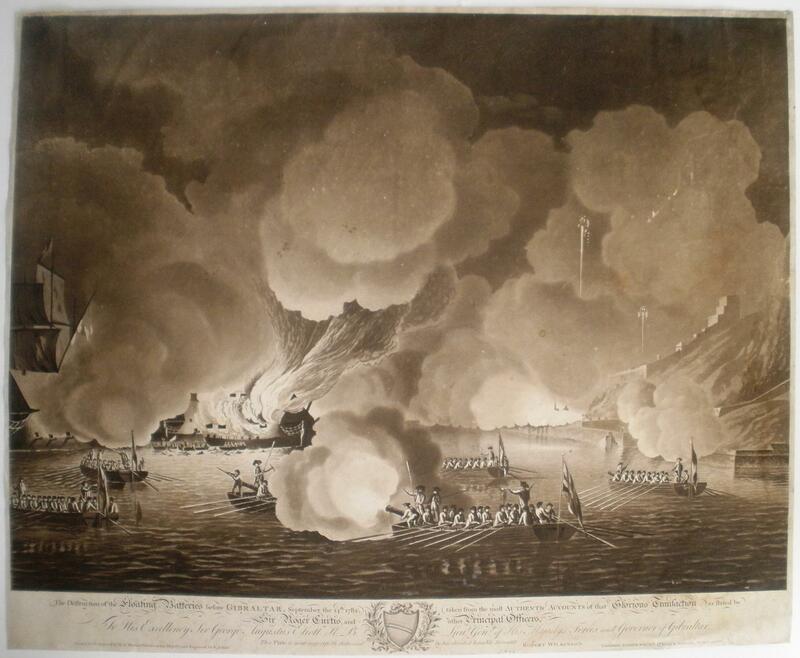 The Destruction of the Floating Batteries before Gibraltar, September the 14th 1782 taken from the most authentic accounts? 1782. The ship's mission was to attack English ships in the region in support of the Americans. 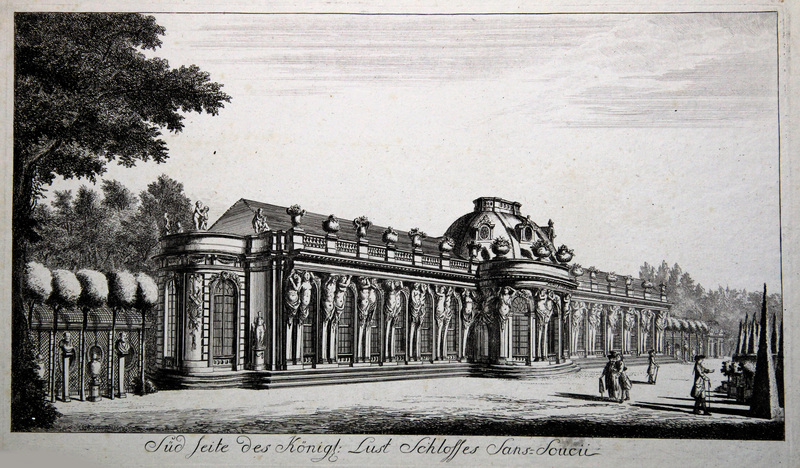 Südseite von Westen, "Vue de Sans_Souci. Dediée à Son Altesse Royale Madame la Duchesse Douairiere de Bronsviv etc. etc.". - Kupferstich n. A. L. Krüger aus Abb. Der königl. Schlösser und Gebäude . b. Carl Christian Horvath, 1782, 23,5 x 42,5 Drescher/Kroll, Nr. 218; Berndt, Märkische Ansichten, Nr. 1497. - Radierung von A.L. Krüger (1743 - 1822) aus der 2. Folge der 1779 und 1782 herausgegebenen 12 Radierungen mit Ansichten der Stadt Potsdam und Umgebung. - Oben rechts mit Tinte nummeriert, unten links ein kleines Loch. Confessions de J.J. Rousseau, suivies des Rêveries du promeneur solitaire. Gründliche Anleitung zur Markscheidekunst. - (Und:) Fortsetzung der gründlichen Anleitung zur Markscheidekunst. 2 Teile in 1 Band. 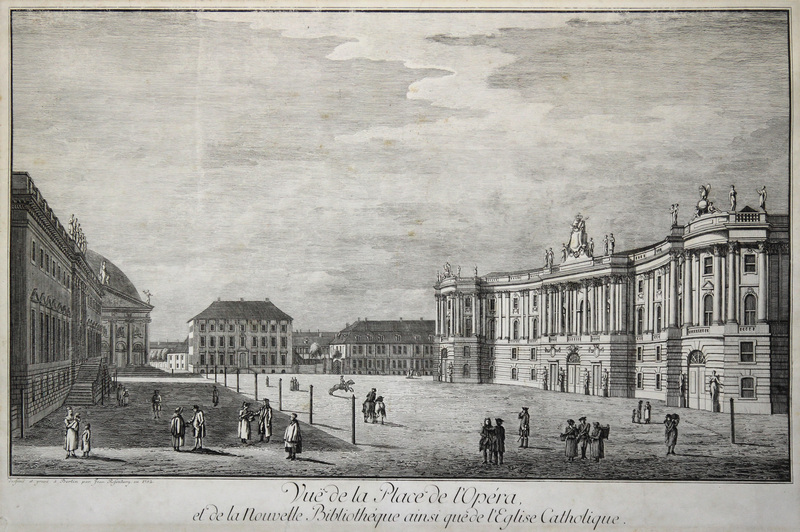 Vicenza: Per Gio: Battista Vendramini Mosca, 1782. First printing. Paperback. Good. 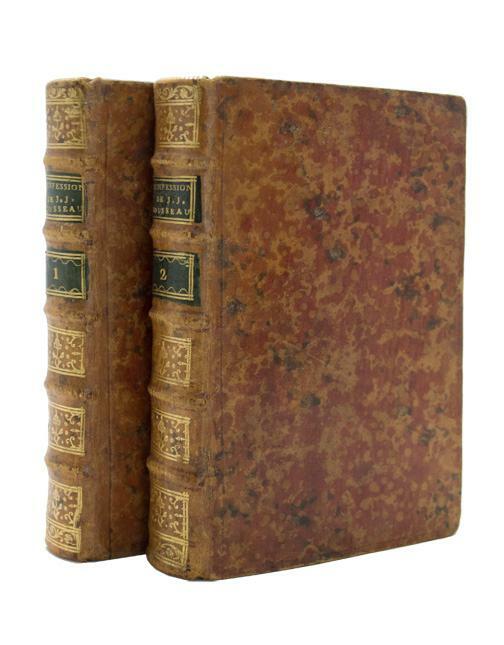 First printing, 6 volumes complete, published 1772-1782. 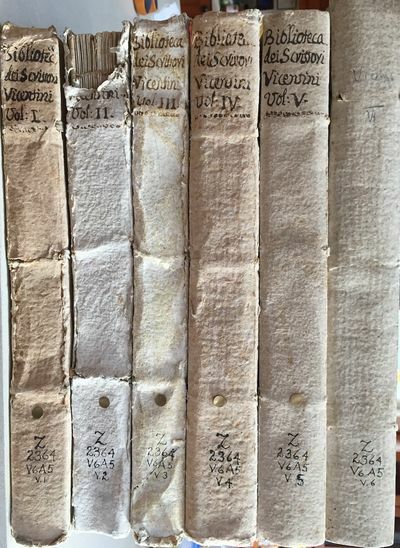 4to, original limp thick white paper covers, titles written in old ink on spines, untrimmed, with each volume covering a different period in the history of Vicenza's letters: v. 1. 49-1400, v. 2. 1410-1470, v. 3. 1471-1500, v. 4. 1501-1550, v. 5. 1551-1600, v. 6. 1601-1700. Paginated: xxiv, 267; x, 311; (2) 279; viii, 244; viii, 312; x, 300. 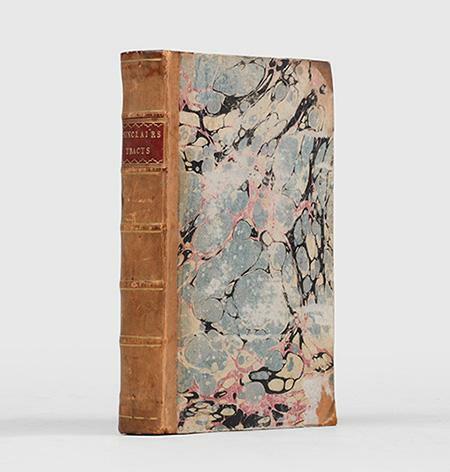 Condition good to very good, minor library marks (call numbers in ink on spines, bookplates, blindstamps to title pages, barcode stickers to rear flyleaves), some wear to paper bindings, especially the first three volumes, with some repaired tears to outer joints, vol. 2 with 1.5 inches loss to top of spine, but contents very good and bright, wide margins, beautifully printed. In Italian. 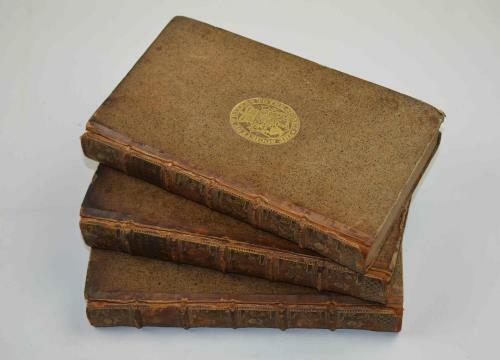 While at least 13 libraries record sets in OCLC, this is rare on the marketplace, no copies recently at auction. Hamburg, Matthiessen 1782.. 82 S. Rückenbroschur. Hayn/Got. V, 138; Estreicher II, 469. - Krasicki (1735-1801) gilt als bedeutender Vertreter der polnischen Literatur der Aufklärung. Aus seiner Freundschaft mit Friedrich dem Großen resultierte diese satirische Schrift. Geschrieben für den protestantischen Friedrich den Großen, brachte ihm diese Schrift heftige Kritik aus Polen ein. In Reaktion darauf verfasste Krasicki die Anti-Monachomachia (1780), um den schlechten Eindruck zu beseitigen. - "Das Werkchen verdankt seinen Ursprung einer unter disputierenden Mönchen ... enstandenen großartigen Rauferei, die sogar vor Gericht anhängig gewesen. - Selten und wenig bekannt" (Hayn/Got.). 1782. Incisione in rame di Zuliani, dipinta a mano d'epoca, mm 420x320. Da "Atlante novissimo". Ottimo esemplare con buoni margini. 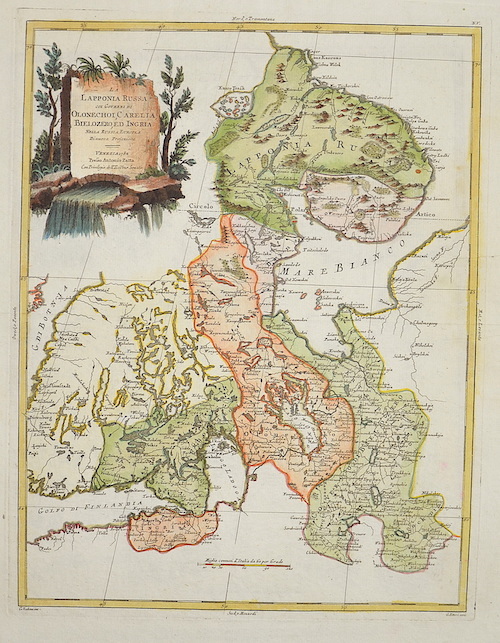 Artist: Zatta Antonio (d) ; issued in: Venice; date: (d)1782 - - technic: Copper print; - colorit: original colored; - condition: Very good; - size (in cm): 40,5 x 31,5; - description: Map shows partly Lappland and Finnland, the peninsula Kola, Carelia and Ingria with St. Petersbourg- Kronstadt; - vita of the artist: Antonio Zatta (1757 ? 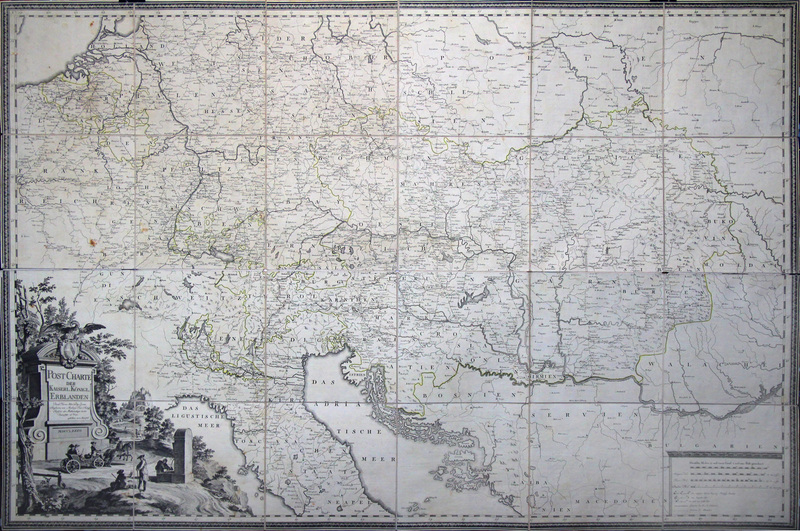 1797) was an Italian cartographer who was based in Venice. One of his major contributions include the Atlante Novissimo, a four volume atlas of the world in very high scientific quality. Die Räuber. Ein Schauspiel von fünf Akten. Herausgegeben von Friderich Schiller. Zwote verbesserte Auflage (= 3. Druck) der EA. Paris 1782 - 368 x 430 mm. 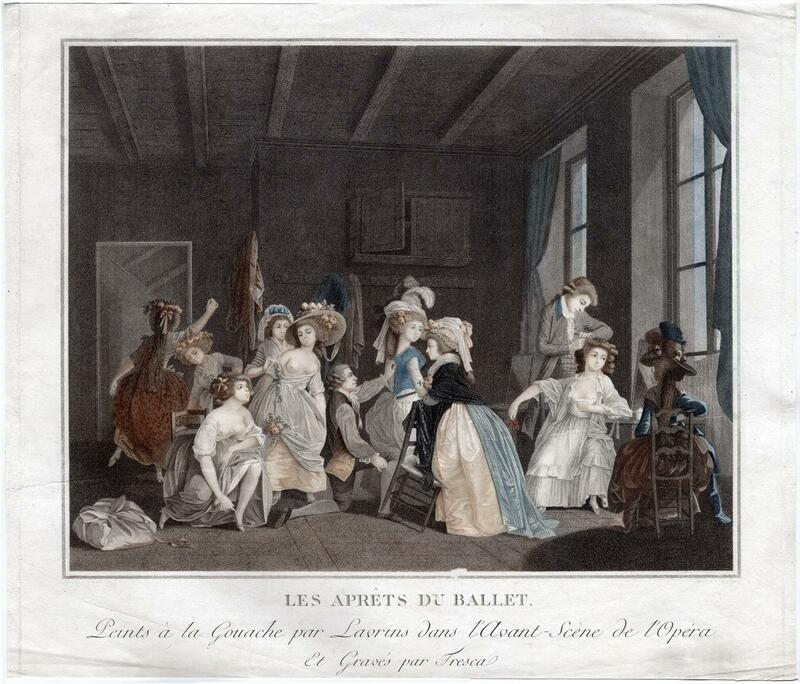 The scene depicts young female dancers in varying stages of dress/undress with attendants including two men, one coiffing a woman's hair, the other measuring a dress; another woman is at left background practicing a step in front of a tall mirror.Slightly worn and soiled; minor paper loss; small edge tears and worm holes to margins; several small repairs; upper and lower margins trimmed to just inside platemark. Bocher: Gravures françaises du XVIIIe Siècle, fasicule 1, p. 13, 4. Herrnhut / Niesky / Klein Welke. - Grundrisse und Gesamtansichten. 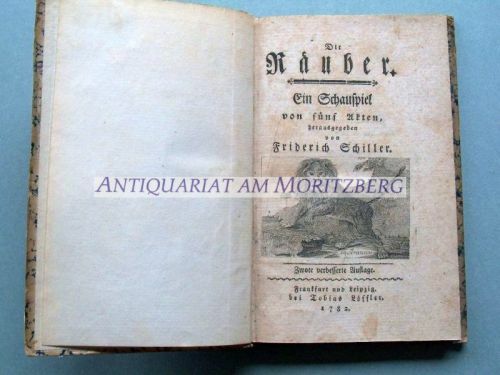 - "Grundrisse und Prospecte der drey Evangelischen Bruder-Gemein-Orte im Marggraffthum Ober Lausiz. ".